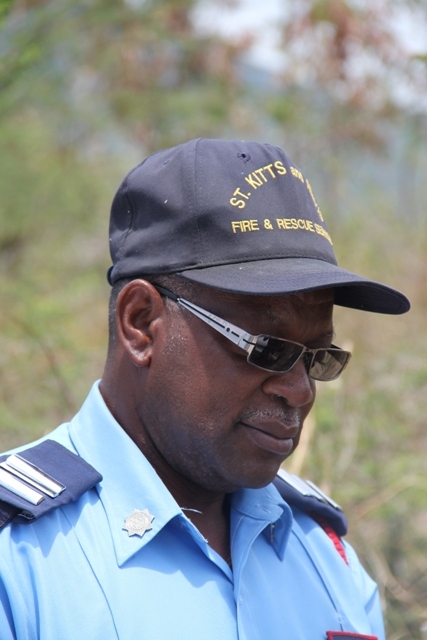 NIA-CHARLESTOWN, NEVIS (March 29TH, 2011) — Protecting property was the priority of fire officers from Nevis’ Fire and Rescue Services Department who, yesterday [Mar. 28], responded to a report of a bush fire in the St. John’s Parish. The fire, which spread southerly from the Long Point Port Road, spanned across several acres of land and into the Caribbean Sea. “Containing the fire was a collaborative effort of several persons” according to Fire Sub Station Officer [FSSO] Mr. Alfred Willett, who spoke with the Department of Information about the experience. “I must say thanks to the various agencies who came out to help us. The distance from where the hydrants were, was really hampering us. We sent a call out asking for help. “We must say thanks to DAN and Public Works and the other agencies for helping us. That really helped us out a lot,” he explained. While speaking of the strategy that his team used, FSSO Willett said he was pleased that no one’s property was damaged. “The whole thing is that we want to protect property and the best way to deal with that is to try and get the fire around the houses out. After that, we could always leave the wild, per se, to burn out on its own but we had to protect the houses,” he explained. 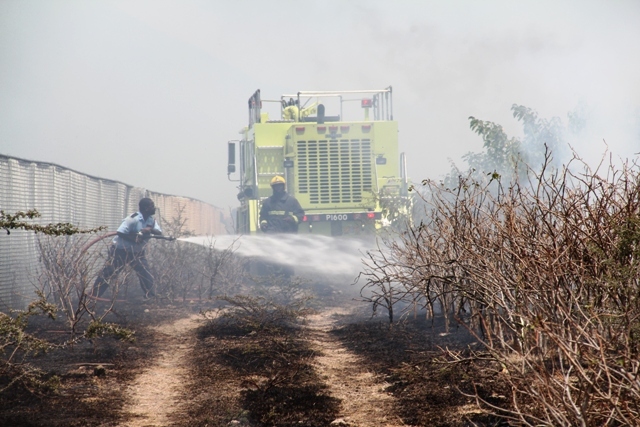 The fire officers’ strategy and diligence was later applauded by Junior Minister in the Ministry of Natural Resources and the Environment, the Honourable Carlisle Powell who was on site when the fire spread to Low Ground. “I worked with Officer Willett at the airport for several years so I know of his capabilities. I have full confidence in him and the men who are working with him. “Fortunately, we have not lost any animals, any homes and that, to us, is a good sign and again, I want to compliment Officer Willett and his full complement of men. They have done a really good job in containing this one. Let’s hope they don’t have too many more of these for them to be working all over the island to contain these bush fires,” Minister Powell said. In addition to the regular-duty fire trucks that are stationed at the Fire and Rescue Services Department in Charlestown, the officers relied on the performance of one of two airport-based fire trucks. “I know this truck. I was the one who had to finally signoff on this truck to get to Nevis. It is exactly what the airport wanted and it is good that we were able to, at this time, get additional support from the airport so that we would be able to help fight the fire here in Charlestown. 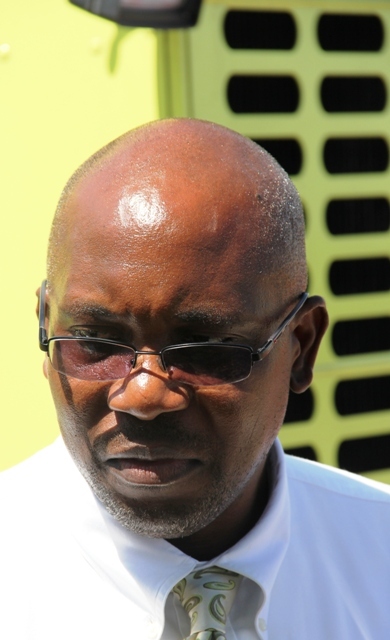 To my mind, it is probably the best truck in the whole of Nevis,” Minister Powell said.